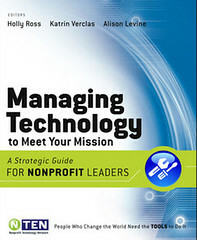 NTEN has just announced its forthcoming book, Managing Technology to Meet Your Mission: A Strategic Guide for Nonprofit Leaders. 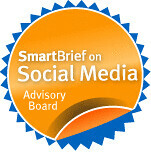 It was written by NTEN members for nonprofit leaders who want to harness the power of technology to support their work. The book will be published in March 2009. You can pre-order your copy on Amazon or purchase a copy from NTEN for only $30 with your NTC registration, starting next week. Each chapter was written by an NTEN member including me! Can you guess what topic I wrote about in my chapter?